sNOw joke! There were nearly 4 FEET of snow at Mt. 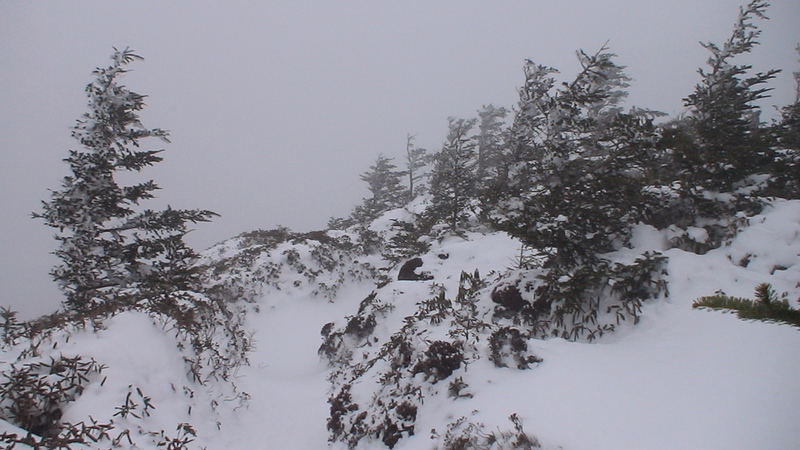 LeConte in the Smokies this weekend. I know because I was there, along with my dad and a few other curious (crazy?) hikers. Four feet is a lot of snow. 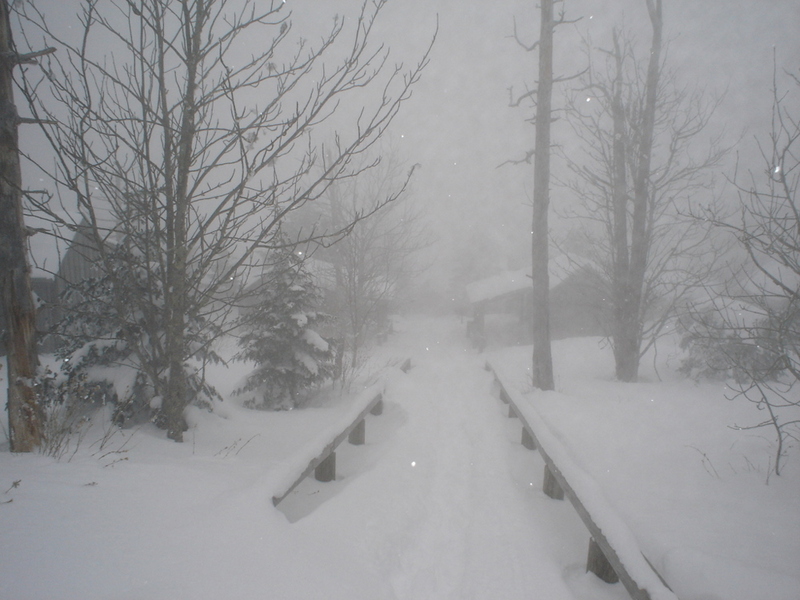 We left from the Alum Cave Bluff trailhead along Newfound Gap Road (US 441), which was remarkably open despite a 30″ snow depth report from the top and a closure notice on the park website. The trail was well packed for the most part, and we passed several other hikers who were seizing the day. And it was a fantastic day. We didn’t have snowshoes, but thanks to the combination of a well traveled trail and a solidly frozen base, we didn’t need them. I carried my crampons, but they stayed in my pack all day. 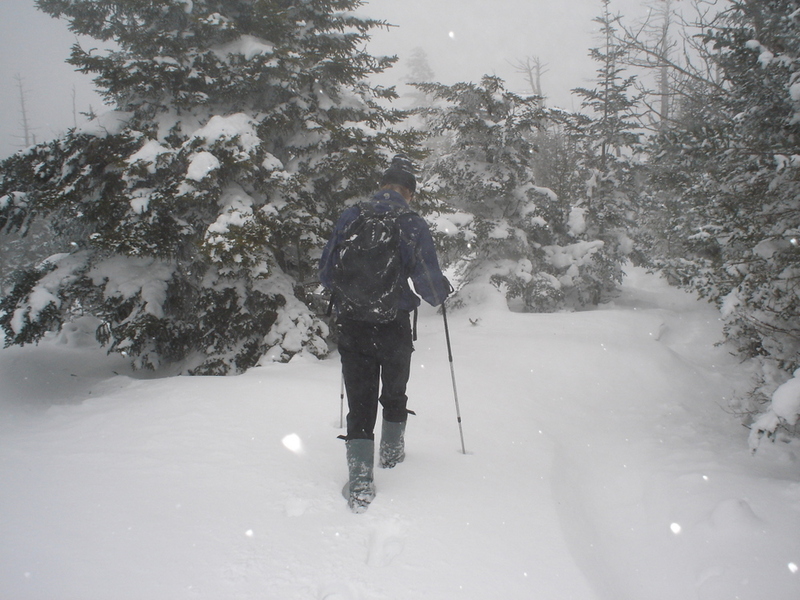 It sounds absurd to talk about snowshoes and crampons in Tennessee, but we have been sorely lacking without them before – never underestimate the Smokies in winter. I could try to describe the experience, but pictures are probably a better medium for that. In a word, it was amazing. LeConte Lodge: definitely not open. WOW! Please, please, please post some more pictures and let me know by e-mail when you do. They are AMAZING. 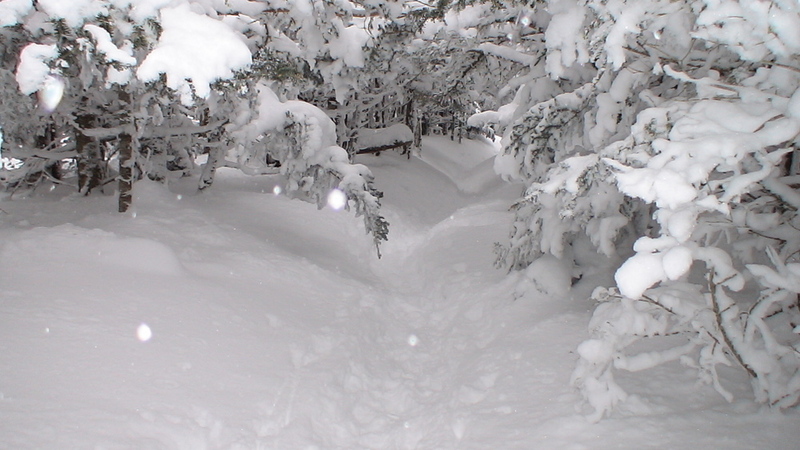 Would love to see more of the ACB trail with that much snow, and thinking about doing a bit of hiking this Sunday. It’s supposed to be sunny and 60. If you have time, please drop me an e-mail. Thanks for these pictures, and thanks to Ron M. for tipping me off to them. 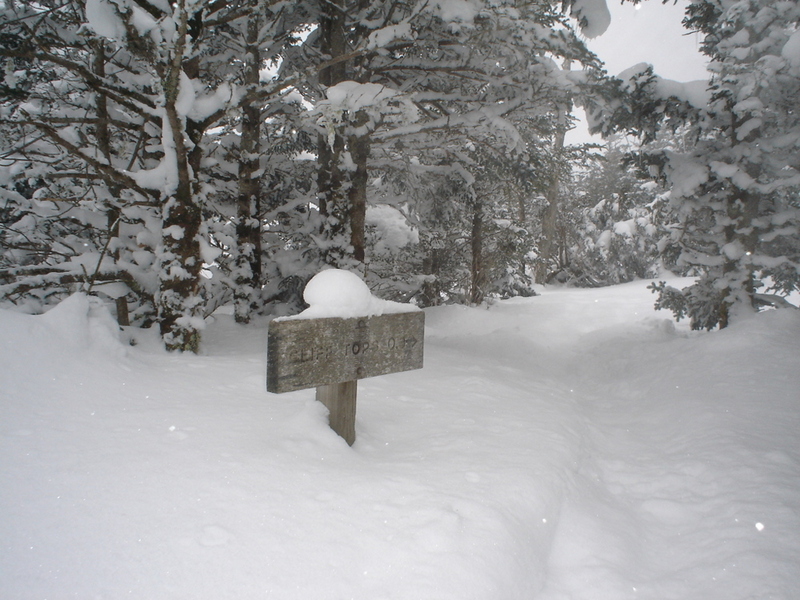 I am going up in late March, so I am curious what the trail will look like by then. And a big “ditto” to eveything Ron M. said; beautiful pictures. Thanks for sharing. And like I said, I agree with Ron—–post more pictures!! Failed to click the “Notify me of new posts via email” button, so I am doing this now.